Recently, I had the opportunity to host an event at Google in San Francisco called, Pubtelligence. It brought together a diverse mix of digital publishers of all shapes, sizes, and experience levels. 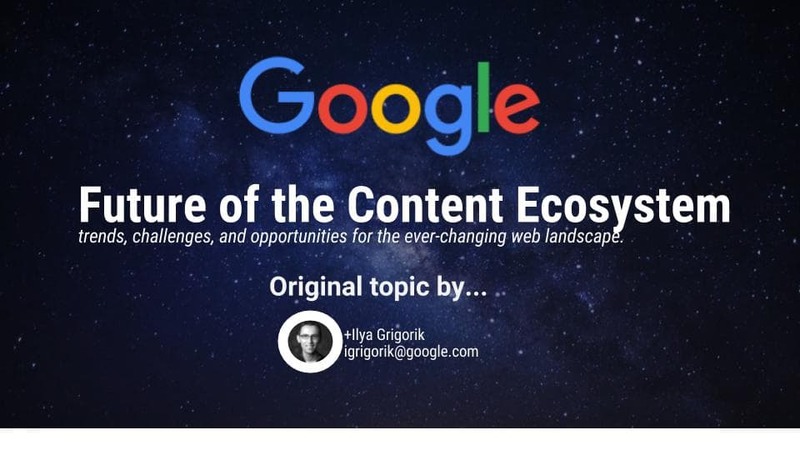 At this event, no speaker captured the attention of everyone in the audience quite like Illya Grigorik, a member of Google’s webmaster team (Search). He discussed how publishers should be preparing for Google algorithm, and search ranking changes, in 2018 and beyond. This came as no surprise. Google’s search algorithm and webmaster practices are the subject of constant rumors, news, and evaluation. This is all for good reason. Publishers rely on Google’s search product to help them drive visitors to their properties. Businesses have been built and conquered on the search giant’s shifts in algorithm changes in the past, and no one wants to fall behind. Below, I’ll discuss all the important things that Illya Grigorik covered in his presentation. I’ll also read between the lines on a few things he discussed and shared with everyone present. Furthermore, I’ll boil it all down to a few clear directives for digital publishers that want to ensure they are staying ahead of shifts and trends in Google search changes. There seemed to be several key themes heading into the presentation on where Google would be directing a lot of their attention in the coming 12-18 months. It’s important to keep in mind that Google is not rolling out search algorithm updates quite like they have in the past (more on those Google search changes here). With the inclusion of A.I., rolling updates, and changes in the way paid results are displayed, changes in Google search are now much more related to keeping up with the way Google delivers results than the way they rank properties. 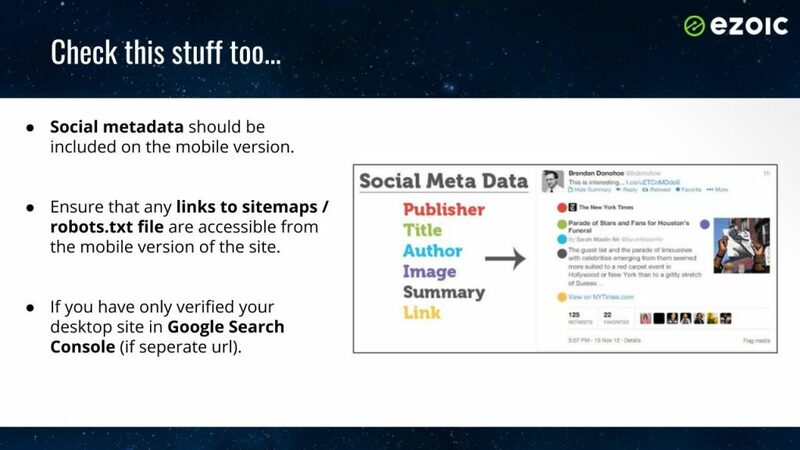 Above, you can see the types of things that Google webmaster teams are emphasizing to digital publishers right now. There is a lot of focus at Google on mobile (more on those specifics here) — especially in emerging markets — and how they deliver the right kinds of results and information to these users. More specifically, they are emphasizing how they can deliver better results to these users faster and more efficiently. This includes a very strict focus on security as well. You know the future is mobile, right? 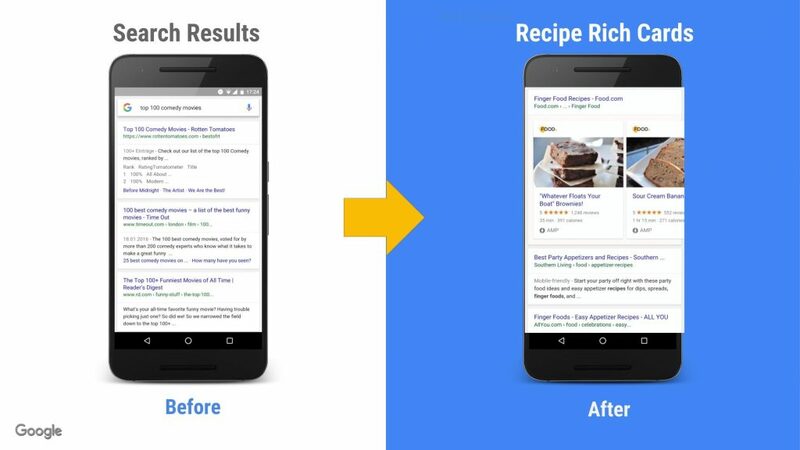 For those paying attention, it should come as no surprise that Google is continuing their push towards improving search satisfaction for mobile users. This is something publishers have, on average, been slow to adapt to since many independent publishers spend most of their time browsing their own sites on desktop. This led into a much deeper conversation about how Google has been gathering data about how quickly user behavior is shifting on mobile. 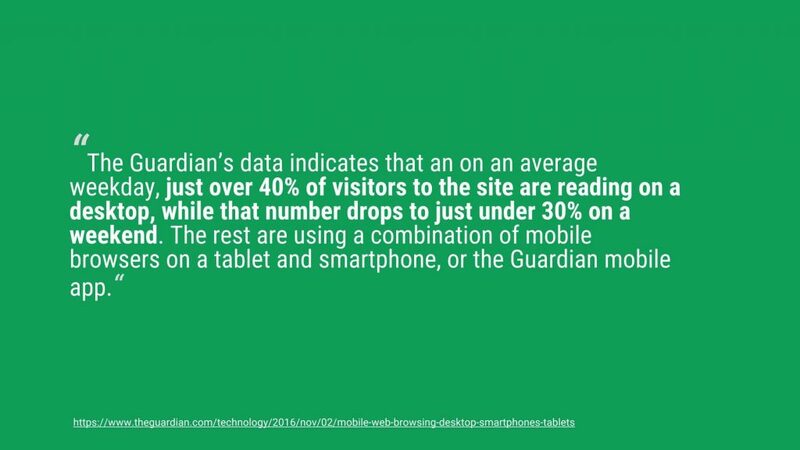 Not only are more users on mobile devices when using Google search, but how they browse mobile results is changing too. Google is very aware of these changes; especially in emerging markets. 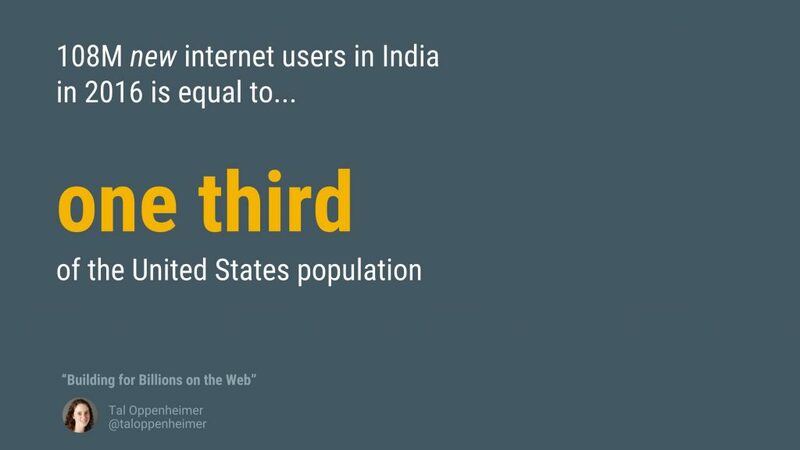 There is a lot of new users coming online in countries, like India, that are leveraging mobile devices. Google is ensuring that their flagship technology is equipped to meet the needs of these users. The changes that Google makes to adapt to these markets and changing mobile behavior will dramatically impact publishers; regardless of who their target visitor is. As Google adapts to meet the needs of new users, publishers positioned to provide content in parallel with what Google is seeking will be poised for major payoffs in traffic. 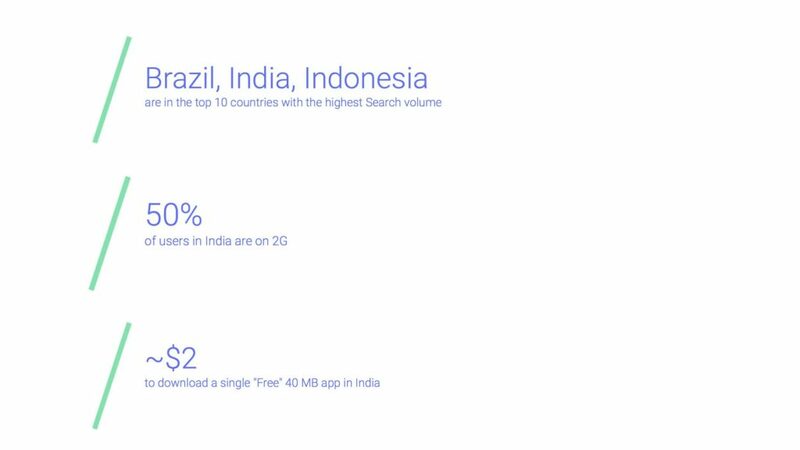 So, to recap… even if these emerging markets seem to be irrelevant to many publishers, it is very important to pay attention to how Google is adapting to meet the needs of these markets. These search algorithm and ranking changes will impact publishers regardless of who their audience is. That’s right. Until now, Google has really relied mostly on key visitor experience metrics to determine if visitors were being affected by something like site speed. However, in July of 2018 Google will be adding speed as a small ranking signal. 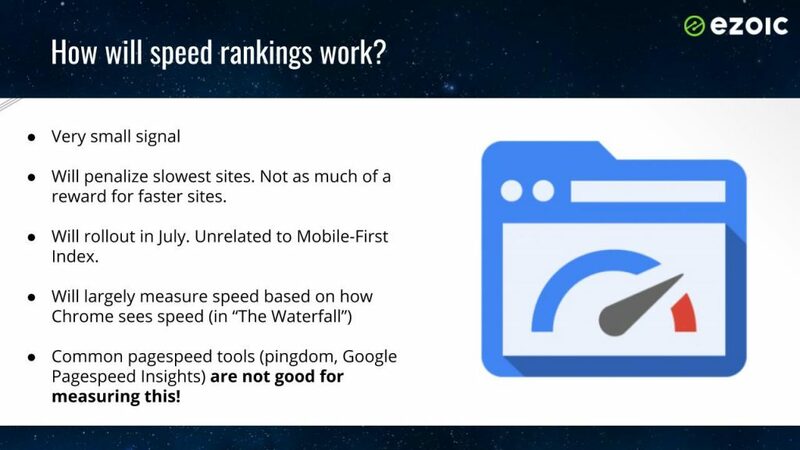 Unfortunately, Google has realized that most publishers are not very good at measuring or fixing speed issues. Their own tools actually kind of make it harder for some publishers that see things like Google PageSpeed Tool’s as something they should be optimizing… HINT: Google says that’s not important. 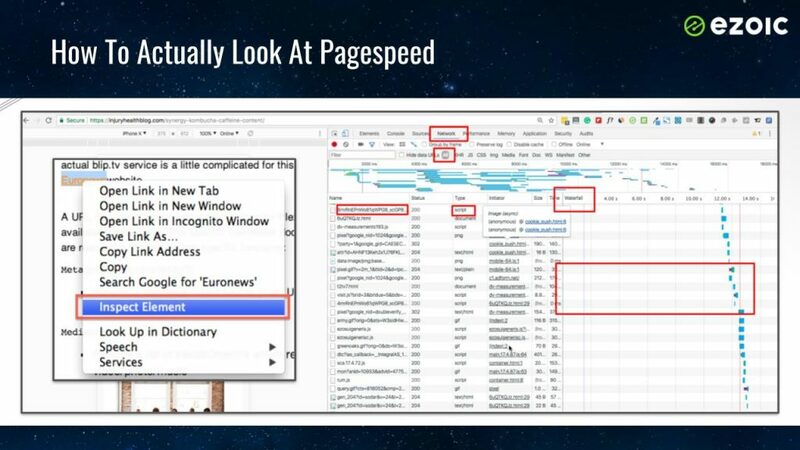 Understanding and improving speed the way Chrome sees it, in the developer tools waterfall. 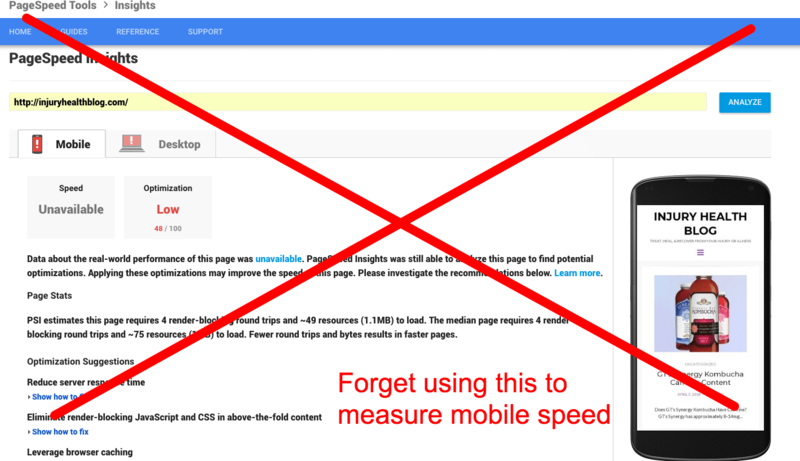 You can read all about how to actually measure and improve site speed the way Google does here. 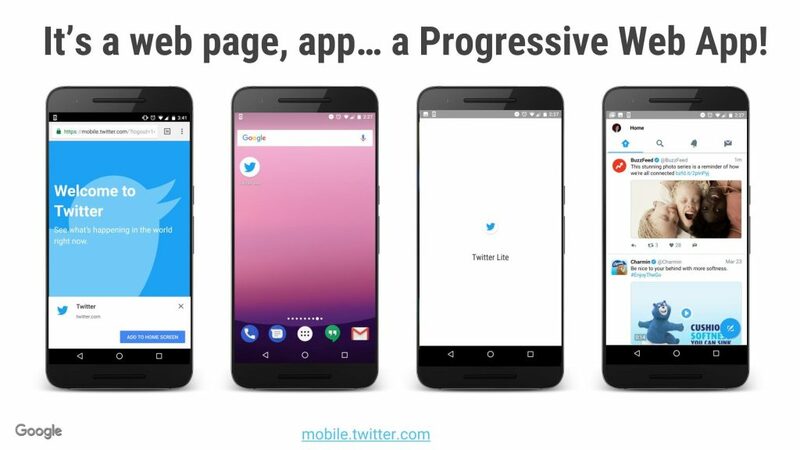 WTF is a progressive web app? If you remember back to earlier this year, John Cole and I broke down some of the trends for 2017, and we said that progressive web apps (or PWAs) would be a hot topic toward the end of this year. A progressive web app is a blend of an app experience inside of a mobile browsing experience. Google was very bullish on this technology when discussing how it could help serve all markets of search users. 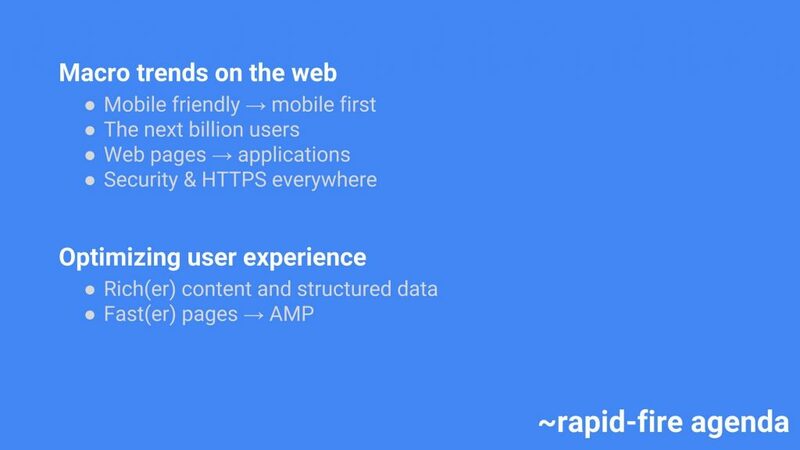 Google sees PWAs blending with AMP technology (Progressive Web AMPs) to provide mobile visitors from every part of the globe with a fast, dynamic, and functional web/app experience. 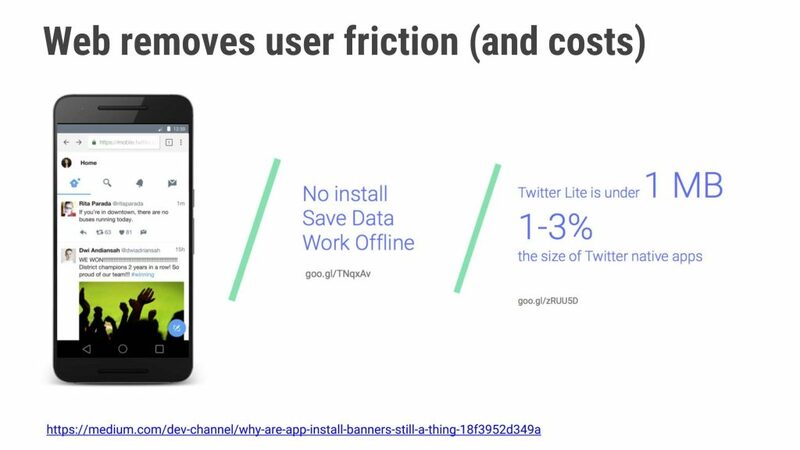 As mentioned earlier in their presentation, Google is trying to find ways to help users access content in a way that is fast and affordable in places that have slow connections and high data costs. Ultimately, they believe it can lead to a better experience for everyone; as theoretically, PWAs provide more functionality and better speeds for mobile visitors. Theoretically, PWAs provide more functionality and better speeds for mobile visitors. This is an important part of their mission; as they want to be able to help all of their users’ access content in the most efficient way possible. 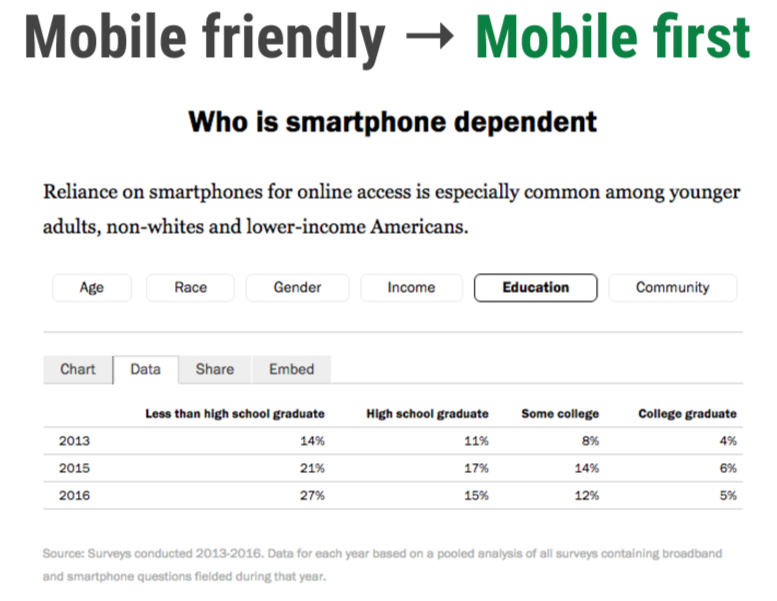 This seems to be one of the primary drivers behind the move towards a mobile-first index. You can read more about how this will work by checking out our previous article on this topic (above). 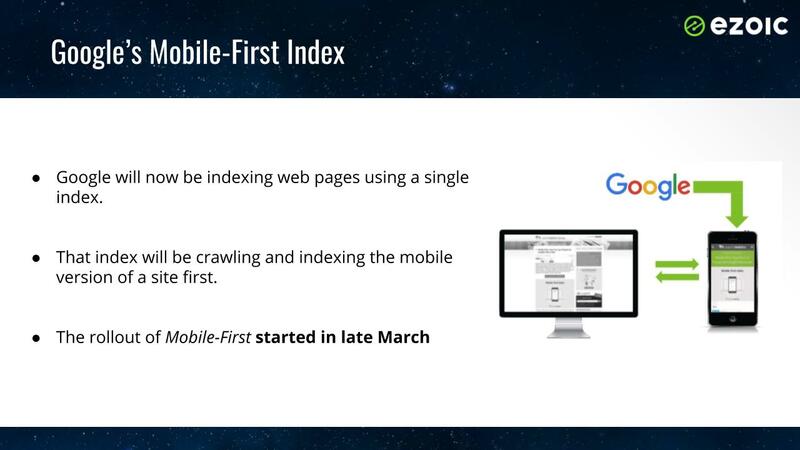 The mobile-first index was officially rolled out in late March 2018. It is continuing its rollout now. Google has said that there are few things to pay close attention to with these major changes. 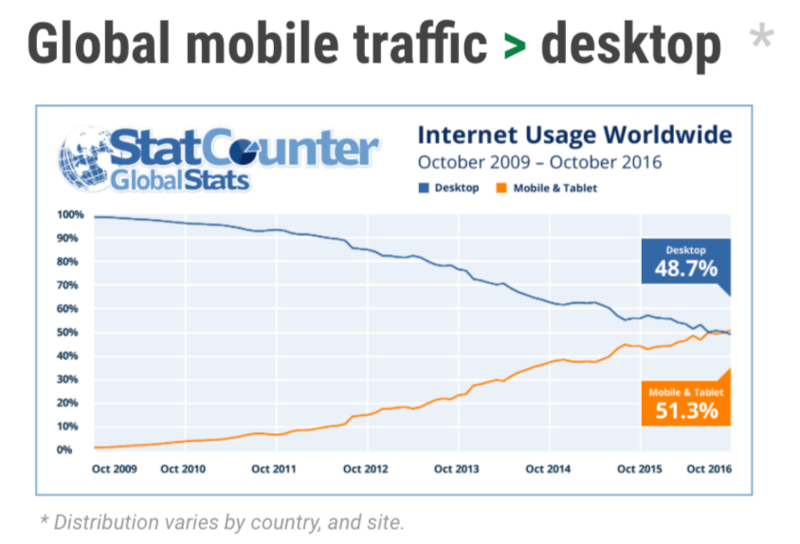 In many ways, mobile-first is not a major change that should be feared. 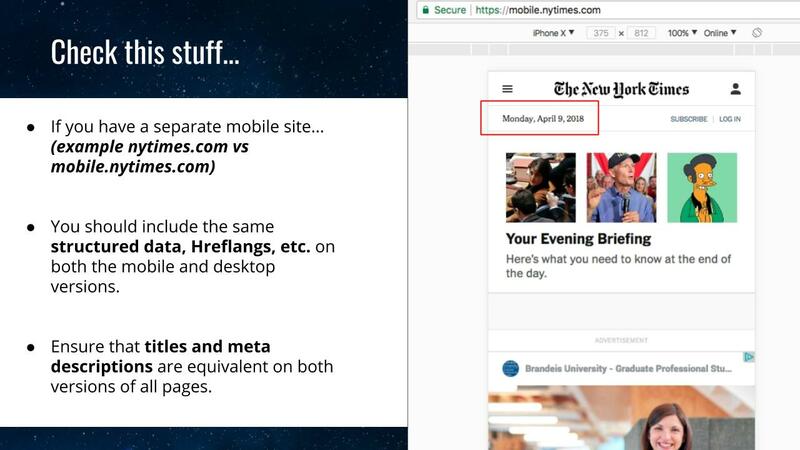 However, all publishers should be making sure their I’s are dotted and T’s are crossed in the next 6-9 months; as having a mobile version of your site that is unequal to the desktop version in any way could be damaging. 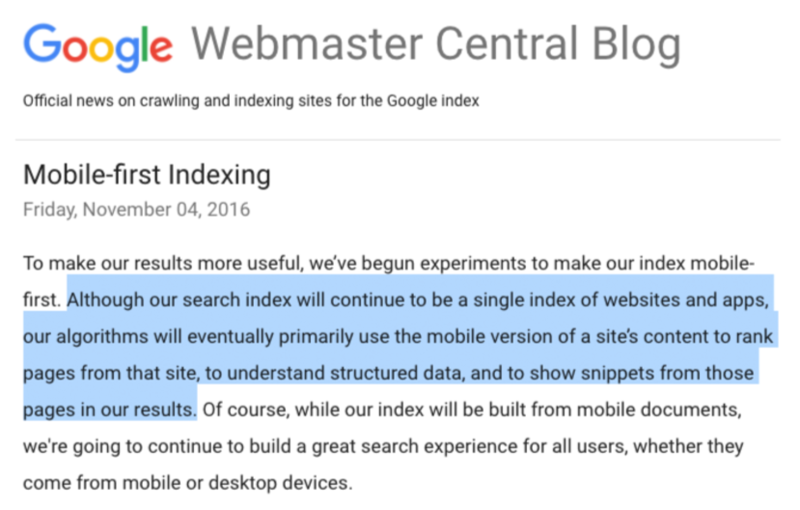 I wrote an in-depth article on how to take advantage of mobile-first indexing here. 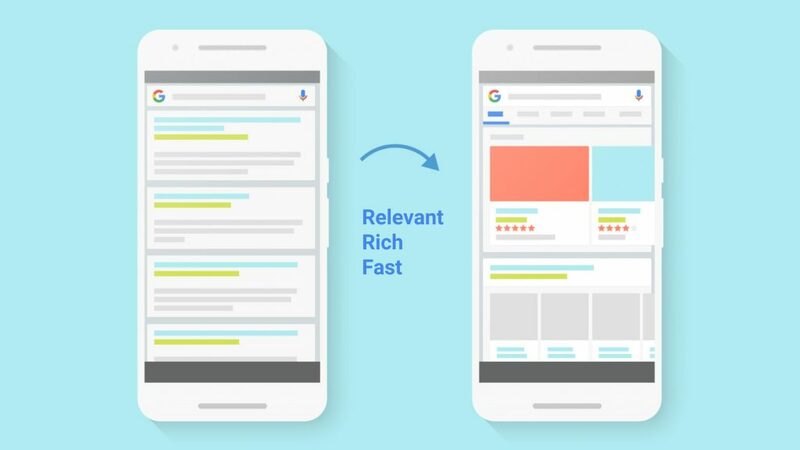 In line with their comments earlier about trying to get searchers to spend less time on the results page, Google is hoping that by delivering fast, rich results they can improve overall search satisfaction for users. This is something publishers have been skeptical of since the start. Rich snippets and Knowledge Graph have been cannibalizing content from publishers for a while. Regardless of how publishers feel about it, this trend is only going to continue. Ultimately, it looks as though the publishers most ready to adapt to accommodate these types of searches will be best positioned to capture traffic for the associated inquiries — even if that means that Google still eats up some potential pageviews in the process. Google is doubling down on these enhanced forms of results for searchers. 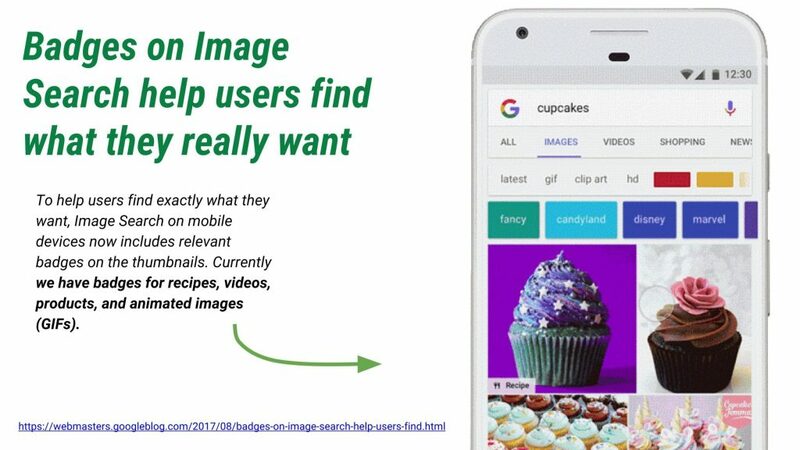 They debuted some new forms of rich mark-up for Google images during the presentation and revealed that still, very few digital publishers are leveraging structured data market (or Schema.org markup) to the fullest extent that they could be. Add these kinds of traffic-driving mark-ups to your site using this simple guide. This actually ends up being one of the most actionable things publishers can do offensively to secure a little more potential web traffic in the coming months. By properly equipping your site to provide rich results — when applicable — publishers can expect to see higher search rankings for associated keywords. 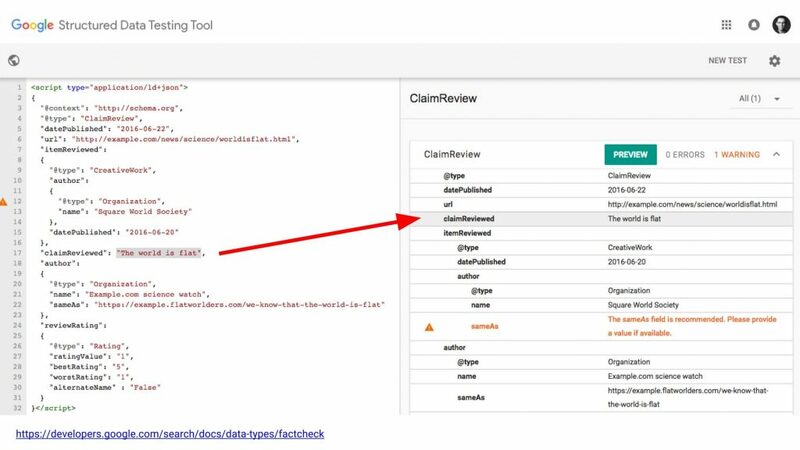 There are a lot of really simple ways to add structured data to your website. For WordPress users, it’s as simple as finding some reliable and user-friendly plugins. For others, it’s as easy as adding some simple code markups to the pages that would likely benefit most from markup. It should come as no surprise that Google is talking even more about page speed. They are actually going to include it as a mobile ranking signal this year. Given the comments earlier in the day about emerging markets and connection speed, this was to be expected. Google revealed that almost 20% of all search results end up with a searcher clicking on a result and returning to the search results page before the Google Analytics tag even fires on that publisher’s website. This means that there could be an additional 20% added to some publishers bounce rates that they will never know about. However, it was abundantly clear that this is something Google is keeping a close eye on; and likely penalizing publishers for. Engagement metrics like DOM interactive — the time it takes for a page to load and a user to interact with it — appears to be far more important than something like an arbitrary page speed number. Google emphasized that they aren’t using any form of page speed scoring to rank or position sites. However, they did emphasize the importance of delivering the content the user is looking for quickly. This is the motivation behind their AMP initiative. While publishers still remain extremely skeptical of AMP — for caching content and generally earning less revenue — Google is working on improvements to push this technology forward. They want pages to load instantly for searches. This intention is noble. Unfortunately, AMP still has many flaws for publishers; as it may work better for some than others. However, what publishers can take away from this entire push is that optimizing your site for instant loading and fast ACTUAL speed will pay dividends. A lot of publishers have delayed from moving their site over to HTTPS with an SSL. Most of the reasons for this have passed their utility; as concerns over redirects or ad partners is largely not worth much concern anymore. However, many are frustrated by the fact that Google is emphasizing this change even when many do not collect any user data on their site. 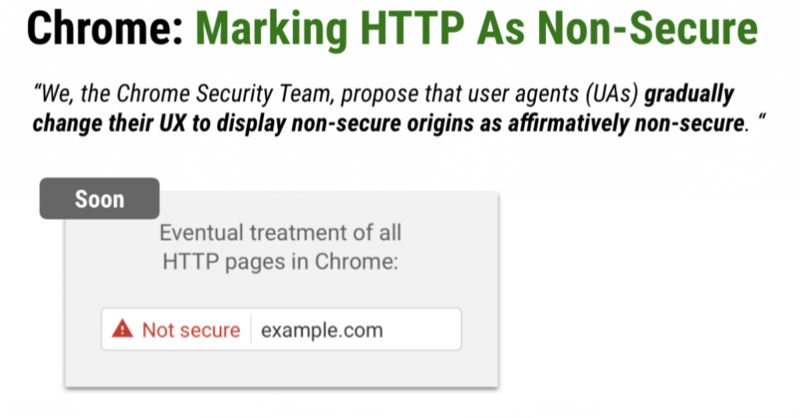 If HTTPS as a search ranking factor wasn’t enough incentive to move your site over in the past, Google revealed their roadmap for how they will begin punishing publishers who fail to add an SSL to their site. For publishers who have resisted this change for a while, it’s time to make the switch. If you’re concerned about redirects, don’t be, server level redirects and host features make it very simple to handle these challenges. And, any concerns about monetization and ad partners with nonsecure pages, are largely out-dated; as most quality ad providers are now fully-supportive of HTTPS sites. Note: Ezoic users can have the platform solve this problem for you very easily, contact your rep for details. Google has been taken a good decision for their ranking factors. You’ve described nicely so that we can prepare for Google algorithm changes In 2018. It is really following the trends we have seeing for a while but the warnings are there for those companies who rely on positioning as a major part of theif traffic and income. This was better than most article on “the future of SEO”. Thanks for sharing some real info. Thanks for this Tyler do you mind if I link to this article? thanks so far 4 the updates, but i just discovered some delays in using the google console for indexing it seems not to be indexing new blog urls any more. pls are they solutions to these observations?? thanks for sharing. but what about 9th,10th,11th march 2018 update? What do you think about Google Latest Algorithm update that is called broad core update? There is a lot of chatter around who and what it has affected, but the clear takeaway was that it was in-fact broad; meaning it did not specifically target or penalize a specific metric or type of website. From speaking candidly with the folks at Google, there are not any specific actions a publisher can take to recover from any traffic losses that may have occurred form this update. Reading between the lines, this would suggest that these updates were not really looking at how on-page or domain-level things were configured for the webmaster. It’s more likely that Google has modified the way it reads certain backlinks and measures user experiences from the SERP. These things would be a little more complex, and something outside of a webmasters immediate control. Long term, the whole, make great content and Google will reward that philosophy will work, but nothing can be done to greatly affect this in the short term. Google recently updated several patents on the way they track and measure backlinks. This makes me think this was a part of this update; as well as how they measure user behavior from Knowledge Base clicks vs. regular search result clicks. Hey! Google Latest Algorithm update that is called broad core update. What do you think about it? By Google broad core update, my keywords ranking down. how to tackle this. please share me your thoughts. No doubt google does all this to deliver a better results for a query in it’s search results. So it is always good to know about the changes for a webmaster. Thanks for sharing the info. Very informative and nice article. Google is famous for its long history of famous algorithm updates, search index changes and refreshes. In January 2018 Google announced that in their next update from July 2018 page speed will become a consideration. 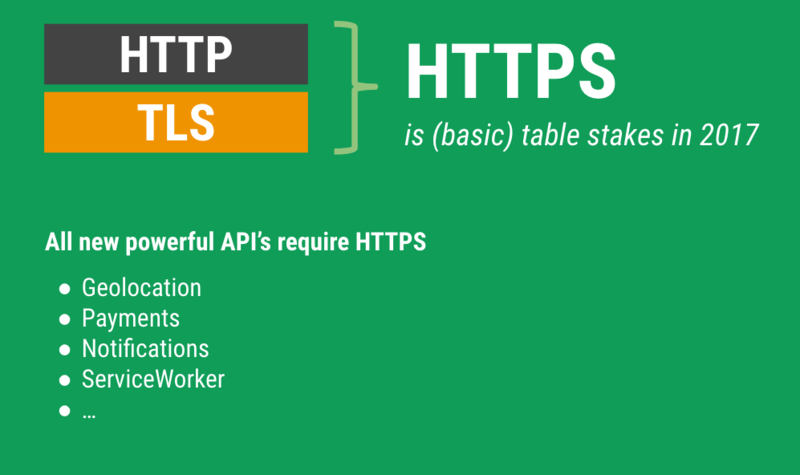 As per the research data the security framework is the main key point of Google. Crazy informative post. Keep up the good work. One of the trends we are starting to see is Voice Search. What are you thoughts on this? I honestly think its not sustainable. Its future is closely tied to the future of rich data mark-up. Publishers have to realize the risk this poses; while also riding on the back of it. There are not a lot of choices to make for content publishers. The whole article was really helpful, keep uploading such stuff! Panda focuses on the overall quality of your site for the user. To get that quality, use Google’s checklist of questions to ask yourself as a general guide. The Penguin focuses on the backlink profile of your site and now works in a granular, real-time fashion. To respond accordingly, improve your overall backlink profile and delete the spammy link. It is also important to remember that in spite of some initial predictions, Google Disavow Tool still has a place in your SEO strategy. Use this to avoid manual penalties related to manual penalties and manual actions which may be beyond the scope of the penguins, but may still affect your ranking. The primary thing to remember when composing your website for search engines is to think overall. This means focusing on the exhibit quality of your site, as you did in the past against the small details described in the form of SEO cure-all. After all, there is no such thing as a quick SEO treatment, and anyone who thinks otherwise is probably involved in some Blackhat techniques. What I’m feeling lately is the number of visitors who are increasing high, and a lot of visitors who come from the mobile. Your site is really fast! Hey Tyler, definitely enjoyed your post! What are your thoughts on the latest Google Updates (July 2018)? There seemed to be quite a bit of movement on the SERPs, but Google wasn’t very forthcoming with the details. Remember why Google is where it is now? That is because they have an improved algorithm that calculates search results. Bing and Yahoo, if that is even still going, still lag behind in quantity powerful websites. That is what it all comes down to. Google wants to make sure they control everything inside the algorithm. Now obviously, it is still an algorithm. It can make mistakes and it can be gamed once you know what it is and which parts to input, bits to avoid and accept. Google will not be having any interdependence on social platforms like Twitter, or Tumblr, they are not going to run. Indexing well in Google is becoming too technical for some webmasters. And I think too much is being asked to webmasters in a short period of time. Thus a lot of webmasters will not do all that Google is asking, and the result is that a lot of good sites, with very good content, are loosing their ranking positions, vanishing from the SERP. And the websites that now are getting to the top positions in SERP are not necessarily what people are looking for. I used to find Google very useful. But lately I often find myself frustrated with the results that Google is providing. I am sure there are better content to suit my queries that those websites that Google is showing to me. Sometimes I use Bing, and I finally find what I didn’t find in Google. That is a shame! After AUG 2018 update, many sites are gone below in their top ranking. I request to Author of this Blog, please update another blog regarding future 2019 SEO algorithms. We will waiting for you next blog. You have presented a very useful topic for the bloggers and webmasters, thanks! I’m facing the traffic drop issue and I knew that it is due to the algorithm penalty. But I don’t know how to get back my traffic. I didn’t implement any black-hat technique and published poor quality content. Do you have any suggestion to reinstate my blog traffic? There’s a big difference between a penalty and a drop in organic traffic. A penalty will show in Google Search Console and will have direction associated with how to fix the penalty.